You couldn’t say you are living in Japan if you haven’t seen one of these red, round dolls around. 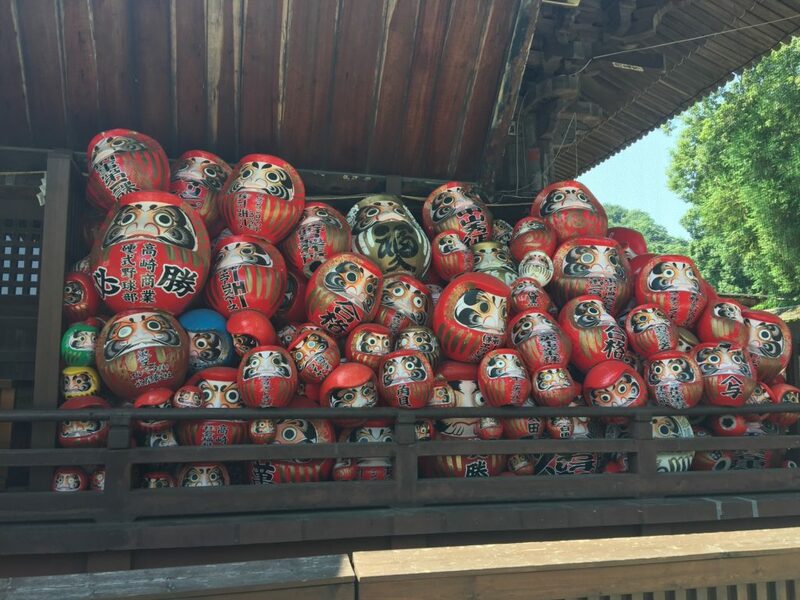 It was only on my recent epic bicycle ride from Tokyo to Karuizawa that I would pass by Takasaki, the city of pasta and Daruma dolls. Seriously, there is nothing much to do in this city except looking at Darumas and eating pasta. I’ve always had a thing for visiting original birthplaces of iconic items, like the temple that the fortune cat originated from. So I decided to make a stop at the temple where the Daruma doll originated from, Shorinzan Darumaji. 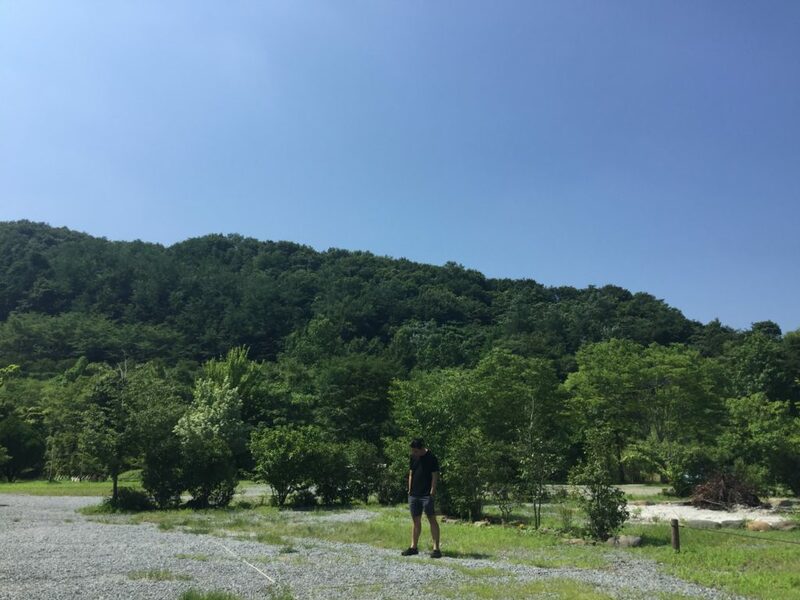 I arrived early in the morning by car, since I wanted to make it to Karuizawa by lunch. There were free parking spots at the temple. Since this is the “representative” temple of Takasaki, it was pretty well-maintained and serene-looking. Upon entering the temple grounds, you could tell that it is indeed the Daruma Temple. The standard temple gift shop hawks all sorts of Daruma-related merchandise, as well as the dolls themselves in different sizes. Past the first gift shop, you go up a flight of stairs and reach the actual temple. The outside of temples are littered with stacked-up, time-worn Darumas donated by corporations. This is similar to the rows of red gates you see at Fushimi Inari in Kyoto. This part is definitely Instagram-worthy. 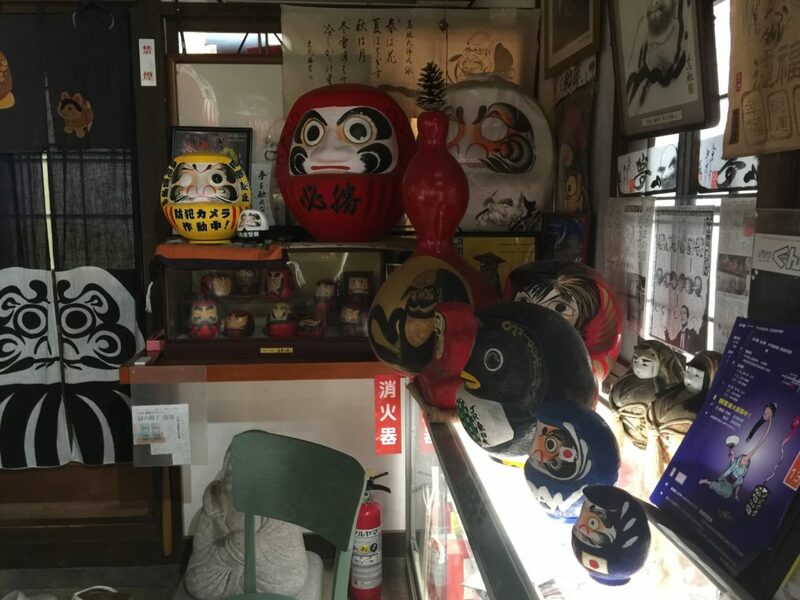 There is also a small museum of sorts that shows the different variation of the Daruma throughout history. I learn that the doll was modeled after Bodhidharma, the founder of the Zen tradition of Buddhism. The first version was actually an actual old man in zazen sitting position. It gradually evolved to be rounder and initially as a auspicious figurine for silkworm farmers. At that time, to pray for a good harvest (where the worms shed their silk 4 times), the farmers paint a circle on the right eye of the doll to wish for the successful harvest and fill in the other eye once it has happened. Over the years as it spread to the general public, the look and shape evolved to appeal better to the mass but the tradition of just filling up one of the eye at first is still carried out now. It was interesting to see the evolution in the museum as the original version is definitely not something I want to have on display in my room. Random posing on the temple grounds. 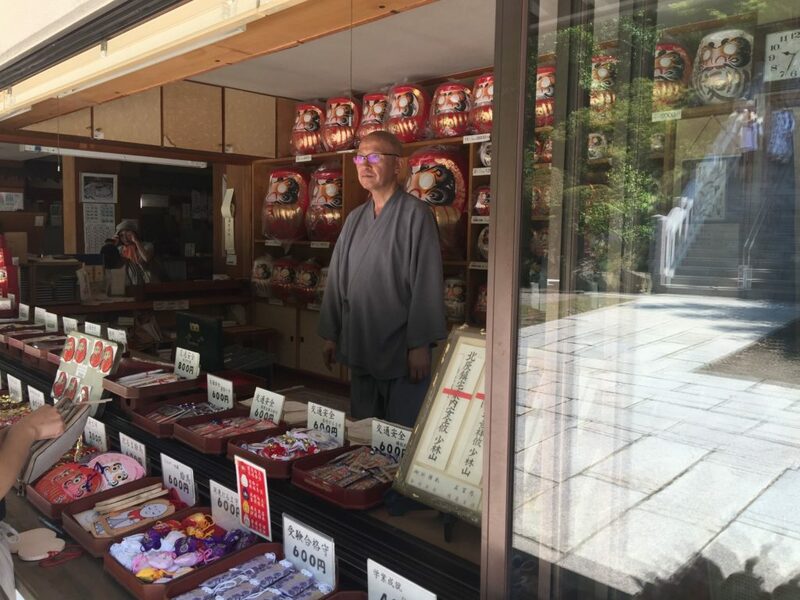 Overall, Shorinzan Darumaji is a great place to drop by for a piece of Japanese culture history but I wouldn’t go all the way to Takasaki just to see it.